ROBERT Alston is one of the world’s leading authorities on Oman and the Middle East. A former ambassador to the Sultanate in the 1980s Mr Alston has maintained close ties with Oman and is today the chairman of the Anglo Omani Society. 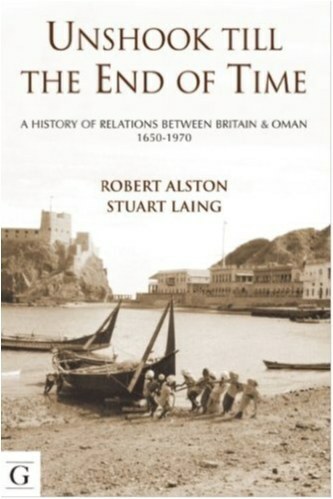 He is also co-author of ‘Unshook Till the End of Time’, the definitive account of Anglo Omani relations between the mid 17th century and the end of the Dhofar Wars in 1975. OmanGBnews.com’s Ben Pinnington met Mr Alston at the society’s Sackville Street home, in London, to discuss its 40th Anniversary and his experiences of Oman. This year the Anglo Omani Society (AOS) celebrates its 40th anniversary. What do you consider its main achievements are? Its architect was Donald Hawley, the first ambassador, he was the last Consul General under the old regime. About the time his term was coming to an end he had the vision that a lot of Brits had been in Oman, both military and civilian, as the economy began to take off, and it would be a good idea to have a vehicle which enabled people, who had worked and lived in Oman, and enjoyed the experience or had an interest in the country, to have a way of keeping in touch with each other and what was going on. Until about five years ago the society was not unlike a number of other societies such as the Anglo Bahraini or Anglo Yemeni, to name only a couple close at hand, rather than on other continents, which tend to have that sort of function of enabling people with links to the country to stay in touch. The AOS did not have premises but had a lecture programme as the main vehicle to get people to come in. What then transformed this was the endowment by His Majesty the Sultan which enabled us to move into this new premises in Sackville Street, London, in 2009. We still do the lectures, but we now have a platform to help and encourage a whole range of other Omani activities, and above all to work with Omanis, first through the Omani embassy, where the Ambassador (Shaikh Abdulaziz bin Abdullah bin Zahir Al-Hinai) is our President, and the Sultan our Patron. We also work with the Omani British Friendship Association (OBFA), and other Omani organisations and groups, that have London focused activity who want a venue. The Anglo Omani relationship is in good nick, but can never be taken for granted. One of the most striking figures, as to why it is in good nick, is that although you hear grumblings about able Omanis going to the United States for education, when Oman had its annual UK gathering in Swansea recently there were 1,100 people there, a very good number. And these were people who are in the country for fairly short periods connected with a project, undergraduate courses, PHDs, MBAs and advanced post graduate work.So the platform is there, what we can try to be is a vehicle. The other big development is the setting up of the New Generation Group, led by Ollie Blake. It now has around 2000 people interacting through social media, probably mostly people in their 20s and 30s, UK and Omani, working around a core group in each country who we try to get to visit in each direction every other year. The Omani group is looking to not just meet, but get involved in supporting specific activities. The activities encourage a British contribution to different strands of Omani life and develop awareness of what Oman is. We can also intertwine the strands in the lecture programme and include Omani speakers, or different speakers, about Oman’s contributions to different dimensions and we have an Omani who will be talking in the summer about Oman as a factor in the regional political scene. The important thing is the uniqueness of Oman in all sorts of ways, its geography, its outward looking nature, compared with many of the other neighbouring countries, a fact that is embedded in a tradition which goes back to the Seventh Century. What direction do you see the AOS taking in the future? 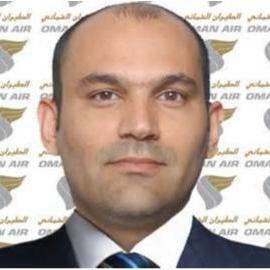 We want to see it continue to be a vibrant organisation for Brits who have links to Oman, a place where they come together and keep in touch with what’s going on, not being prescriptive using this as platform and a multiplier. It is a fantastic facility, we are very lucky to have it and we owe it to the Sultan and the Omanis to make sure that we optimise its value. You were British Ambassador to Oman between 1986 and 1990. Had you been to Oman before that? No, I am the odd man out, amongst the ambassadors, who have been in Oman in the sense I am the only one who was not an Arabist, but there was a deliberate thought behind that, in that in the mid 80s I was a Persian speaker and had been in the embassy in Tehran. That was the time when the world, both in the region and in the West, was trying to come to terms with the long term implications of the revolution and what the changes were going to be.So I think it was a deliberate step to send to Oman, a country with uniquely strong relations with Iran amongst the countries of the Arabian Peninsula, somebody who had some experience and understanding of Iran. So that being the case what were the big challenges for you during your time in Oman? It was the time when the Iran-Iraq war was coming to an end, but what everybody was trying to adjust to was, what was the balance between Iran and Iraq, Saddam Hussein and the Ayatollahs, who’d fought each other almost to a strand-still literally. But what were the implications of that, which presented the greater threat to peace and stability? I left a year before the first Gulf War, which showed very clearly that Saddam Hussein was the greatest threat to stability and peace rather than the Ayatollahs, whether your understood their philosophy or liked their regime or not. What did you learn about Omani culture when you were there? I learned that it was a country that was in a uniquely swift and radical transformation. I went to a country that 15 years ago had barely set a foot down the path of modernisation but what the Sultan had done was to bridge the gulfs between the different forces within the country with help from outside, bringing the war in Dhofar to a conclusion and start to develop and create a united Oman.